An exciting opportunity to advise, encourage and enable discipleship amongst younger children throughout the Church in the Diocese in reaching out to and working amongst families with young children, and integrating their mission with pre-schools, and ‘early years’ in primary schools. This is a leadership role in Christian ministry therefore there is a genuine occupational requirement for the post holder to be a practicing Christian in a partner denomination in Churches Together in England. The Adviser role will be required to apply for an Enhanced disclosure certificate from the Disclosure and Barring Service in connection with this role. Some travel will be involved due to the geographical location of colleagues. The ideal candidate will have appropriate training to Level 3 or above childcare qualifications.Other training from recognised organisations or training providers relating to working with children (or vulnerable adults if relevant). The ability to understand and apply the highest safeguarding principles and practices in accordance with Diocesan Safeguarding Policy. The Diocese of Exeter matches almost exactly the boundaries of the county of Devon, including Torbay and Plymouth. We are a family of Christians, worshipping God in many different settings and groups. We are led by the Bishop of Exeter, and governed by Diocesan Synod which is made up of representatives from across the Diocese. 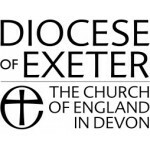 The central office is the Old Deanery, Exeter, where there is a team of around 50 Diocesan staff whose work is arranged to focus on a number of the goals of the Diocesan vision and strategy, ‘Grow in Prayer, Make new Disciples and Serve the People of Devon with Joy’. These staff work in the following teams: Education, Mission & Ministry, Church & Society, Communications, Property & Church Buildings, Finance, Safeguarding, Vocations, Synod Office, Archdeacons Secretaries, Counselling & Pastoral Care Service and our exciting new Growing the Rural Church Project.